"This is a group of emotional and behavioural problems that usually begins during childhood or teenage years. Individuals with this disorder have a long-term and continual pattern of behaviour that breach the rights of others or goes against what is considered normal by society for their age group." 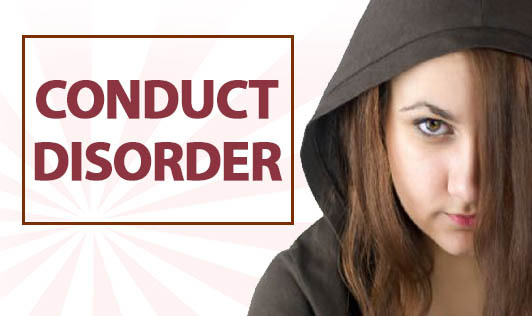 Environmental, genetic, psychological and social factors contribute to the development of conduct disorder. This disorder is often linked to attention-deficit disorder and can be an early sign of depression or bipolar disorder and usually occurs in children and teens. Note: The sooner the treatment for conduct disorder is started, the more likely your child will learn adaptive behaviours thus, avoiding potential complications.